In 1986 Mario Rodriguez implemented his entrepreneurial skills by establishing Jonathan Grey & Associates, a leading Hispanic-owned consulting and promotional products & ad specialty company. His clientele includes various Fortune 500 companies, sports agencies, political firms, government agencies, and non-profit organizations. Mario has been honored with the Hispanic Business Roundtable?s ?Circle of Excellence? award and was named L.U.L.A.C. ?s ?Businessman of the Year?. He was also featured on KTLA television ?Making It: Minority Success Stories?, as well as receiving the Advocacy Award from Hispanic Magazine. Mario received the honor of being featured in ?Entrepreneur Magazine?, received the 2005 O.C. Hispanic Chambers Lifetime Achievement Award, and the 2005 O.C. United Way?s Hispanic Influential Lifetime Achievement award. He was honored in OC Metro Magazine as one of the 25 hottest people in Orange County, and was recognized by Hispanic Business as one of the most 100 influential Hispanics today. 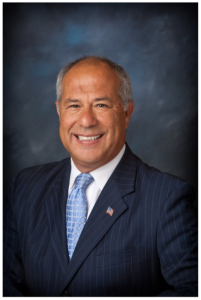 Mario was selected to serve as a member of President George W. Bush?s Commission to Strengthen Social Security, and was elected as the Vice Chairman of the California Republican Party from 2003 to 2005. In 2004, he served as the Regional Chairman for the Bush/Cheney Presidential Campaign. Mario also served as a member on the transition team for Governor Schwarzeneggar, a member of the State Hispanic Team for the re-election of Governor Schwarzeneggar, and was a member of President Bush?s National Hispanic Steering Committee. Mario is a founding member of the Hispanic 100 and serves as the organization?s Chairman, and also serves as a Board Member for Trailblazers, a State Political Action Committee. Additionally, Mario is a member of the National Advisory Board for the Hispanic Leadership Network, and a member of the National Hispanic Advisory Committee.